A unique fun-filled evening is in store for all who attend the Keith Albee Performing Arts Center Gala, entitled "1928" scheduled from 7:00 to 11:00 PM on Saturday, November 23 at the Keith Albee Theater. 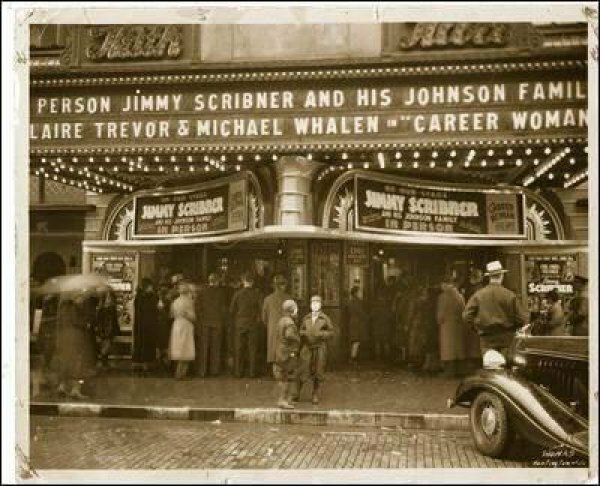 The event commemorates the 85th anniversary of the historic theater which opened in 1928. In keeping with that theme, guests are encouraged to wear attire from that era or formal wear, if preferred. The evening will include premium cuisine, legal beverages, a silent auction, and a full roster of live entertainment. Tickets are priced at $100.00 per person and may be purchased at The Old Village Roaster, adjacent to the theater, or at the offices of the Marshall Artists Series on campus. Tickets can also be purchased at the door. The limited silent auction will include some historic artifacts from the Keith Albee, a gift package provided by businesses who are neighbors of the Keith Albee, a classic dinner for six people hosted by Huntington Mayor Steve Williams and First Lady Mary Poindexter Williams, a Broadway package, and a special surprise item. The first hour will feature a guest reception in the ornate lobby and mezzanine featuring live period-specific music by the Backyard Dixie Stompers. At 8:00 the auditorium doors will open and guests will be treated to music on the theater's vintage Wurlitzer organ as they are seated for a brief stage presentation. That will be followed by an amazing tap dance presentation for the first time in many decades. The dance mistress, Nancy Carter, is the proud daughter of feature performer and Vaudeville legend Bob Carter who dance as a feature act on that very stage in 1928. The Vaudeville theme will continue with a performance by comedian/magician/escape artist Bobby Maverick. His show will close with a patented trick made famous by the renowned Harry Houdini, who was also rumored to have been a performer in the early years of the Keith Albee. The evening will continue with dancing under the stars of the Keith Albee with the RKO Orchestra, comprised of veteran performers from the Tommy Dorsey Orchestra, The Glenn Miller Band, Count Basie Orchestra, and many other name big bands. The 1928 fundraising gala is the first of fifteen events to be held annually, culminating in the 100th anniversary celebration in 2028. All profits will be applied to the budget for on-going operations, renovation, and restoration projects. Check out "1928 Keith Albee Gala" on Facebook.